"More opportunities here. More opportunities out there!" 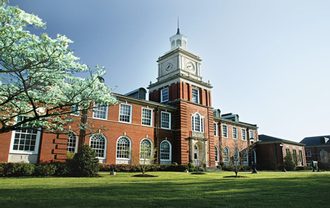 Austin Peay State University (APSU) was established in 1927 and is named for former Tennessee governor and Clarksville native Austin Peay. APSU opened its doors to 158 students in its first semester of enrollment. Today, over 10,000 students are enrolled at Austin Peay and it is one of the fastest growing universities in Tennessee. The main campus is located in Clarksville and another campus is located at the Fort Campbell, Kentucky military installation. Clarksville is Tennessee’s fifth largest city and is 50 miles northwest of Nashville. APSU holds the distinction of being recognized as a 2016 Military Friendly® higher education institution for exemplary practices in recruiting and supporting post-military students.